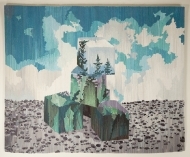 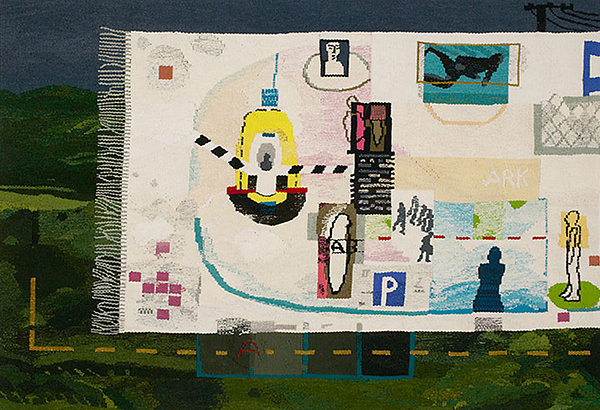 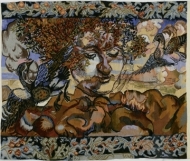 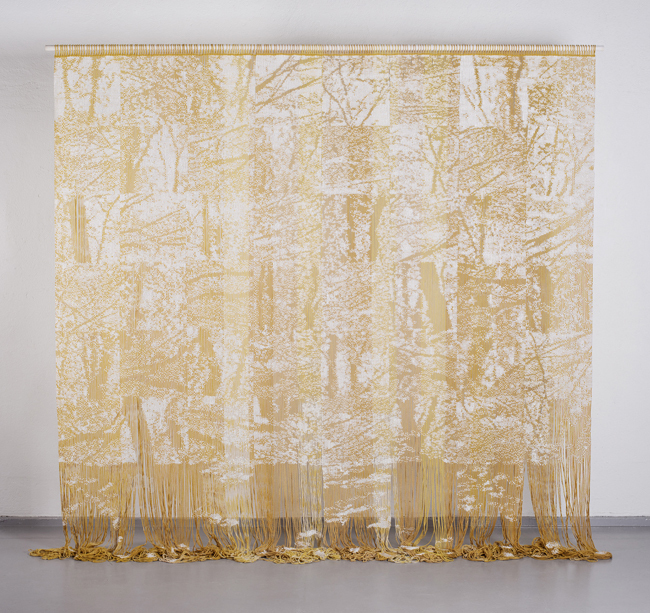 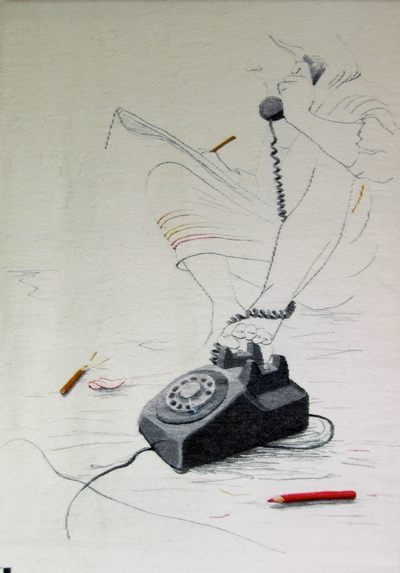 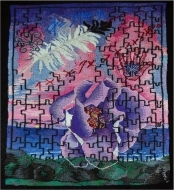 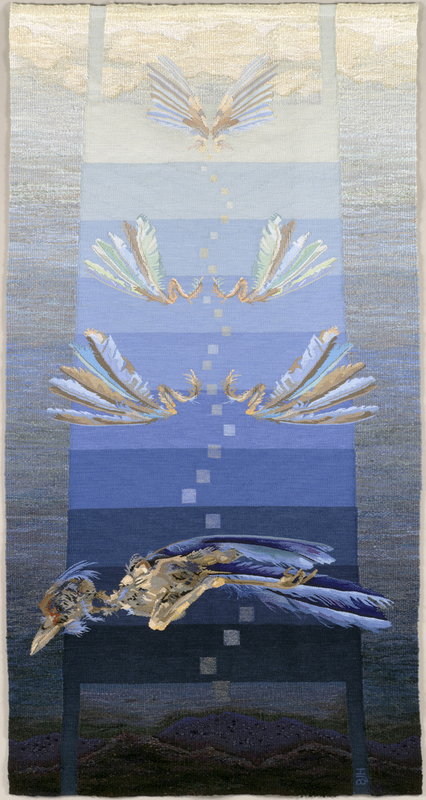 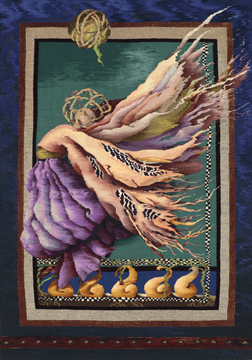 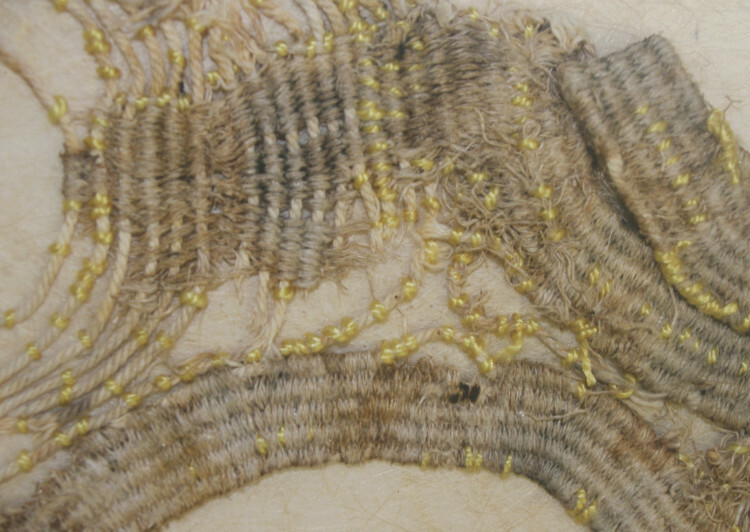 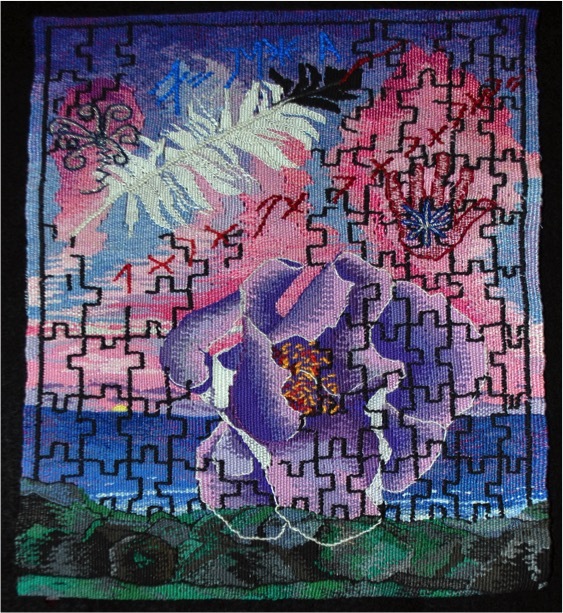 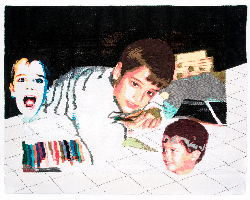 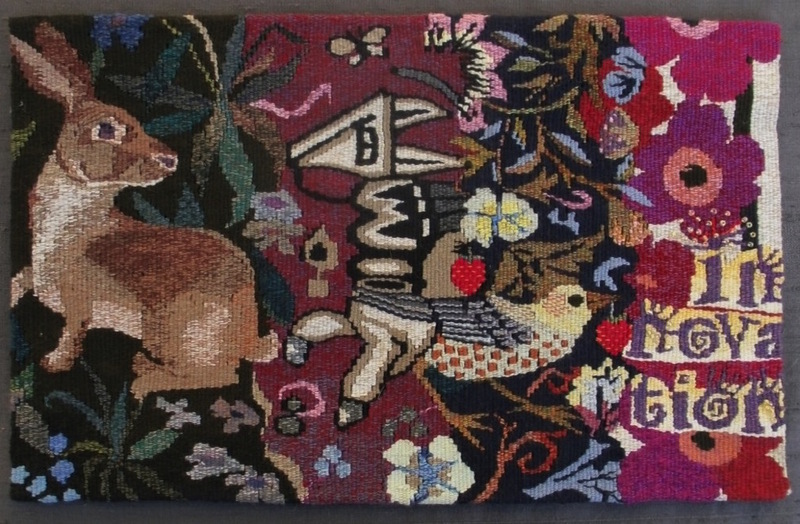 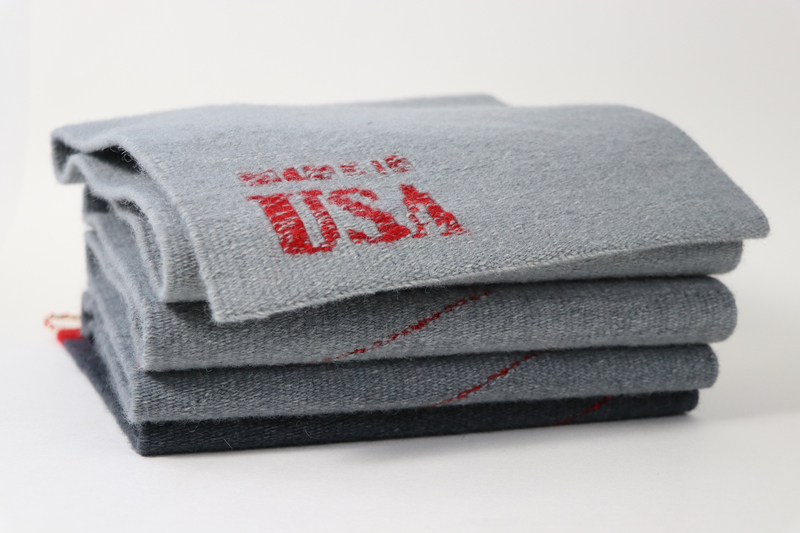 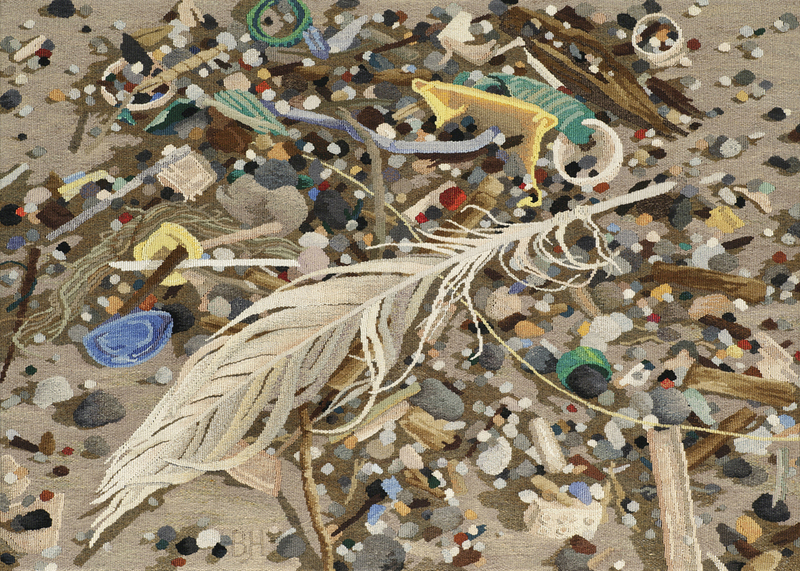 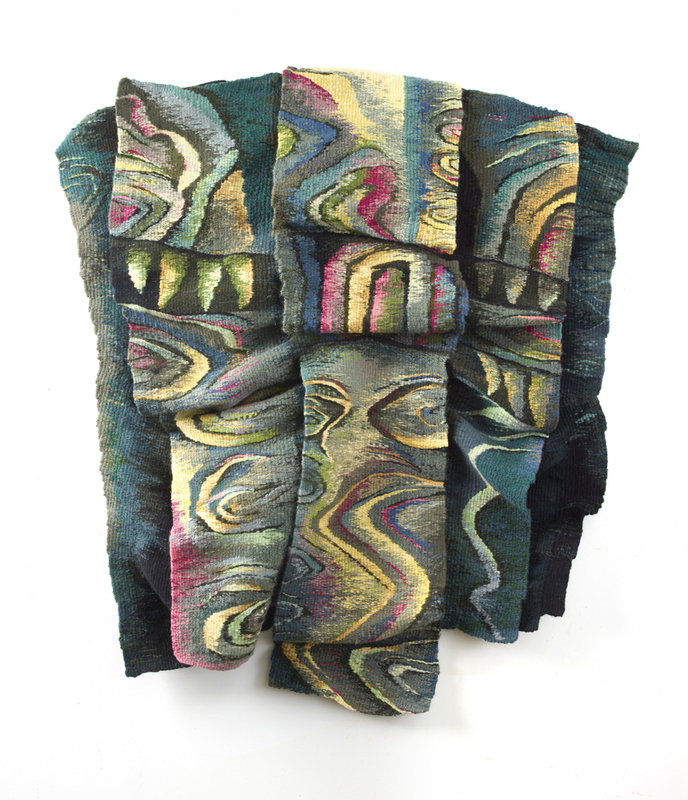 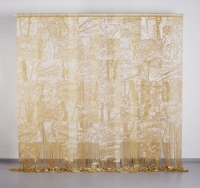 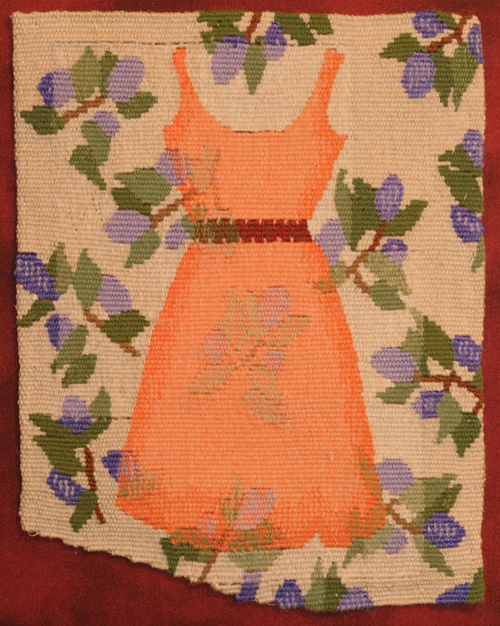 The Teitelbaum Awards are monetary awards that are presented to two artists accepted into ATA’s American Tapestry Biennial and Small Tapestry International exhibitions. 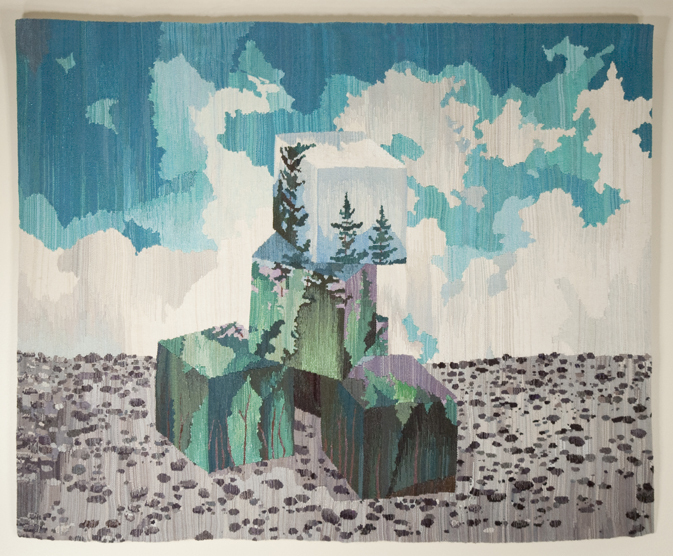 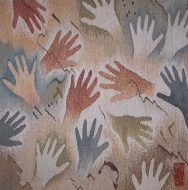 The juror for the show bestows the awards on tapestries that (s)he considers to be of exceptional aesthetic and technical quality. 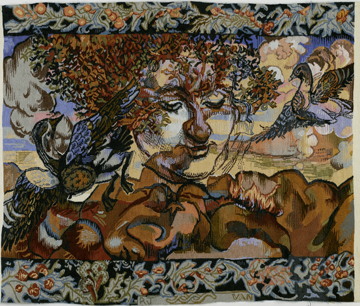 The Teitelbaum Awards are made possible by a generous grant from the Teitelbaum Trust Legacy Gift to ATA. 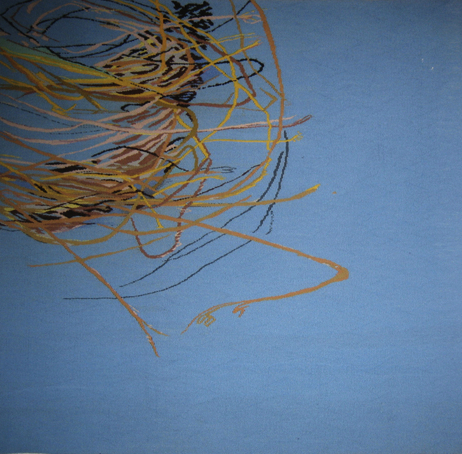 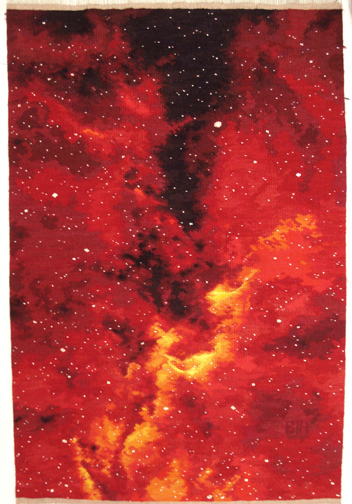 "Detritus," 35" x 49," warp: linen, weft: wool, cotton, rayon, silk, and mixed fibres, hand-dyed. 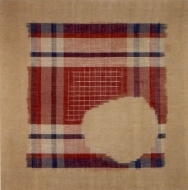 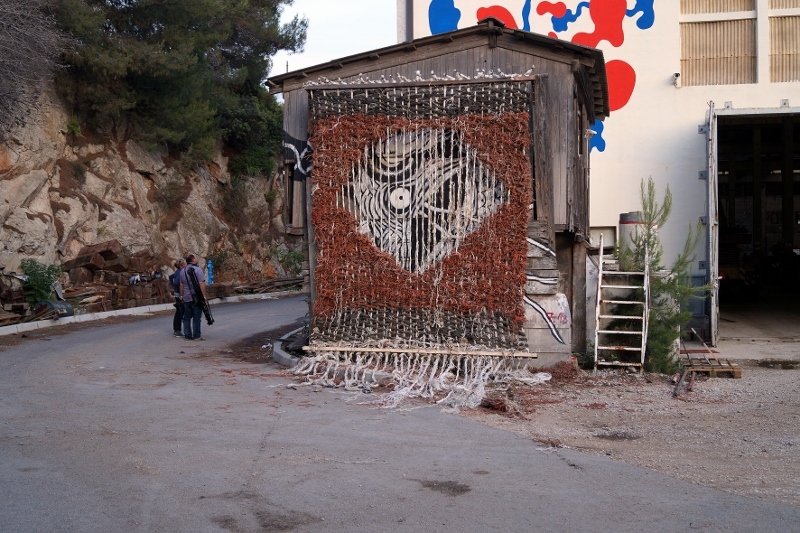 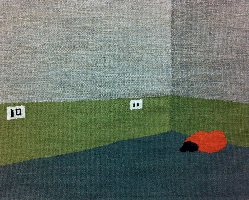 "Gavrinis Keep" 52" x 42 x 4," wool and cotton. 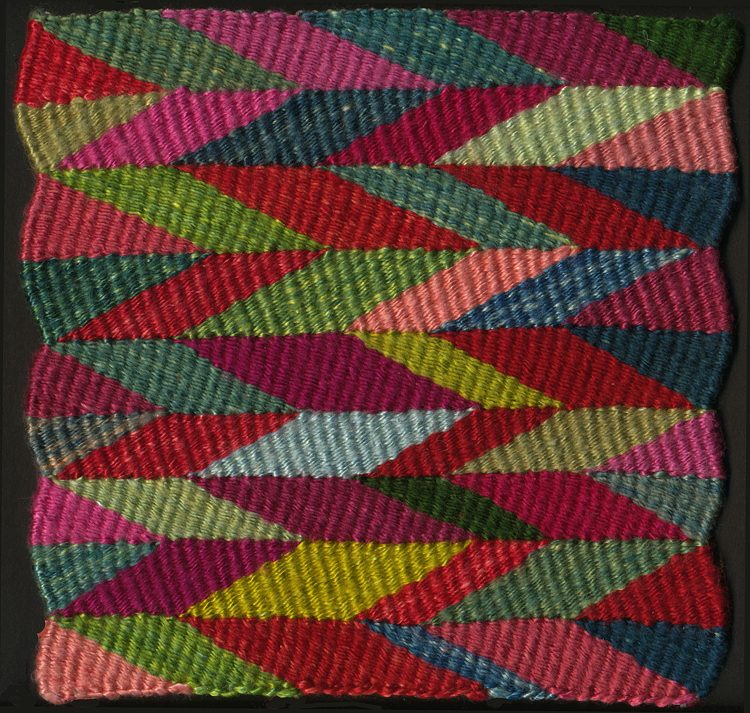 "Metamorphic transmutation 7 x 7 x 7 = infinity" 2014, 10" x 8", silk, rayon, cotton and linen embroidery floss, perle cotton, dual duty button hole twist. 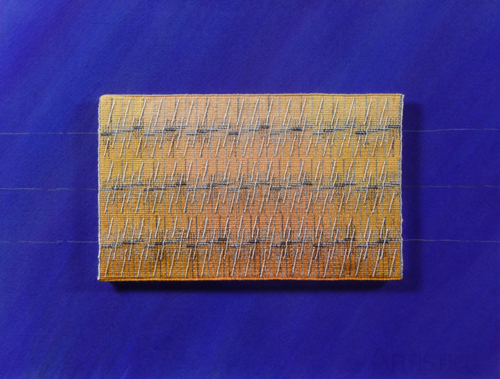 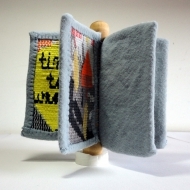 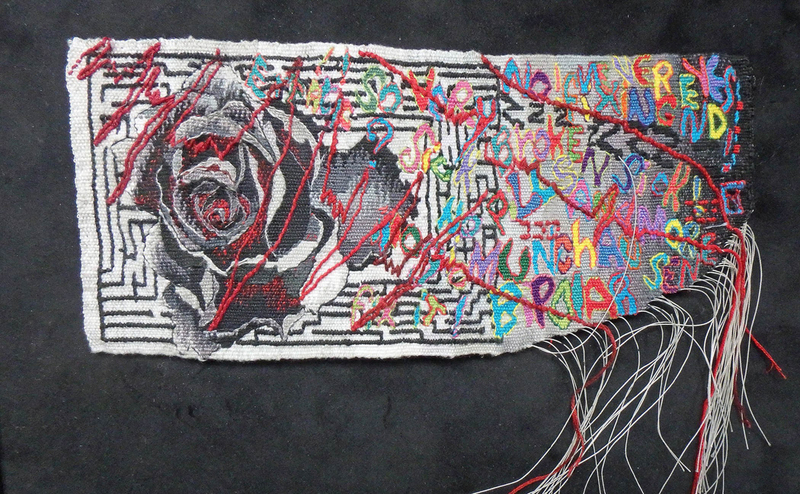 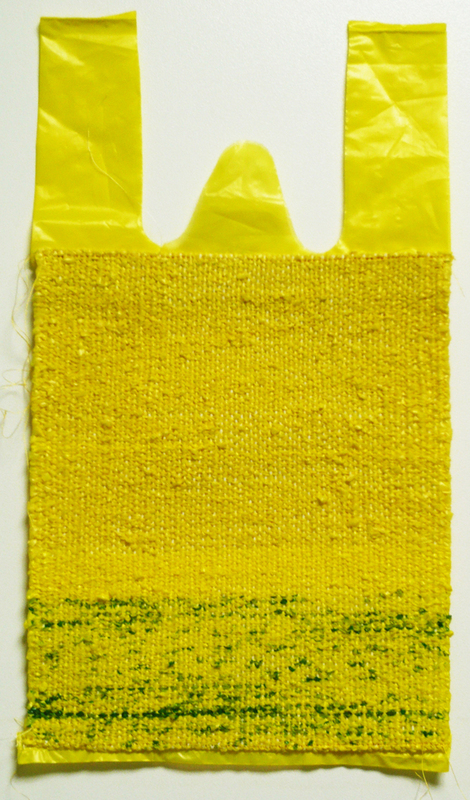 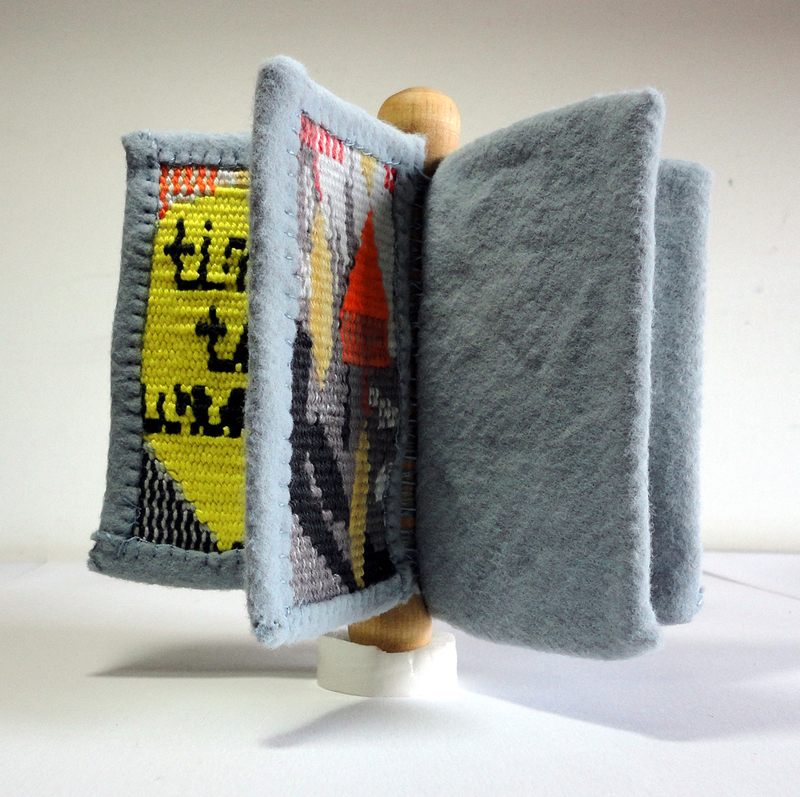 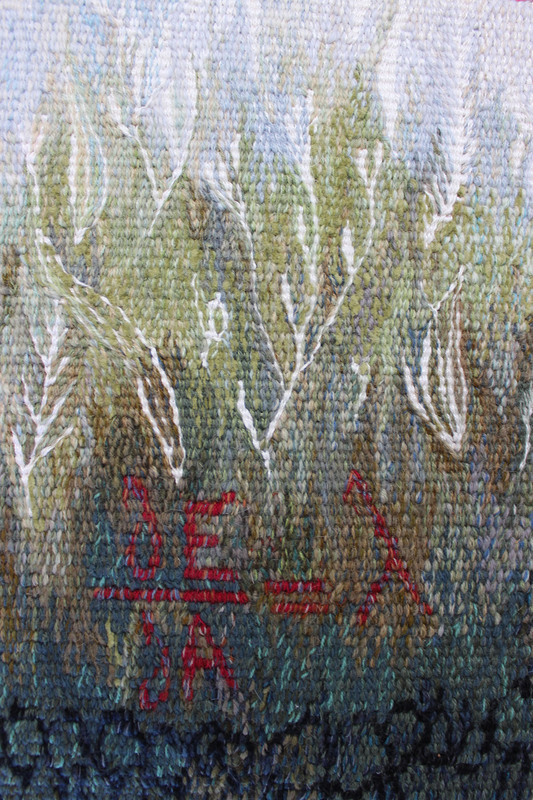 "From Flemish to Finnish.... plus ça change.......,"2014, 7.5" x 12", cotton warp, mixed fibers. 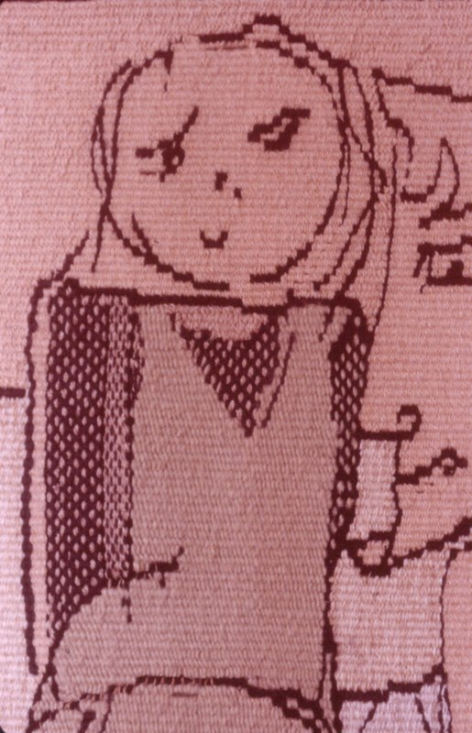 "Where have you been living since we last met? Here and there"